If you thought all kids’ birthday parties were upsettingly rife with fondant covered cakes or fancy confections topped with edible flowers … think again! Some committed people are still making our old favourites – with some help from the Australia Women’s Weekly Birthday Cake Book – and indeed deserve a medal for their services. 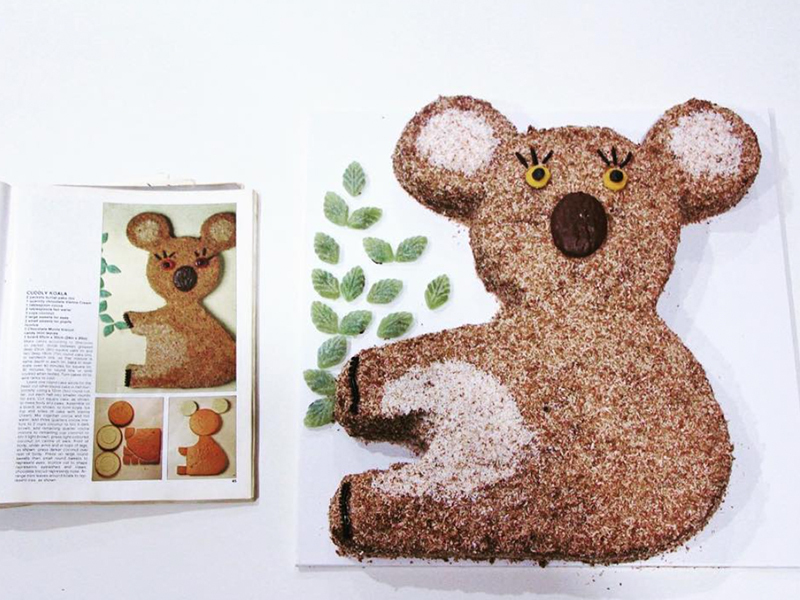 Who doesn't love a bit of local fauna when they're making their AWW cake? This gorgeous specimen was baked by the very clever Lana Hall. Image via Lana/Instagram.